Synehi Castings has been in continuous operation since 1984. We are an American Woman Minority owned and operated business. 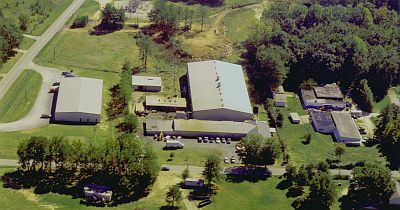 Our manufacturing facility encompasses 85,000 square feet. We are currently in the expansion process of adding a 10,000 square foot warehouse facility for Kanbans and customer inventory and a new 8,000 square foot no-bake molding facility. We can provide our accounts with cast parts, machined and powder coated. Why place three purchase orders and pay up to five freight bills when one of each will get the job done? Our accounts are located mostly in the southeast, but we also have accounts in Canada, Mexico, Puerto Rico, and other sections of the United States. In addition, we also serve as a domestic backup for many companies that import foreign castings. We welcome any opportunity to quote your requirements, and we respect the fact that not everyone needs large quantities of parts, so we are capable of utilizing our automatic mold machines to produce lower quantity requirements. Contact us for your short runs and for obsolete requirements that most foundries are not interested in. Ask us for references. We will be happy to furnish you names, addresses, phone numbers and contact persons of some "Blue Chip" accounts. Copies of certificates of quality and on time deliveries are available on request.